Thank you for visiting www.AmericanFurnitureMaker.com. My business includes the reproduction, by hand, of period American furniture. I am proud to say that my work has been selected for inclusion in The Custom Furniture Source Book, written by Kerry Pierce. This book has been published by the Taunton Press, publishers of Fine Woodworking, Fine Home Building, and Fine Gardening magazines. The criterion for inclusion in this reference work was to be among the top 125 independent makers in the United States and Canada. As you explore this site, you will find pictures of many of the items that I have made in the past. I do make truly custom pieces, so as interesting projects come up, you will find them posted here. All of the furniture made by Stephen H. Smith is "bench-made." Each piece receives the total individual attention of the maker. This statement is factual from the very selection of the lumber, to the final hand-rubbing of the finish. To create furniture of high aesthetic value, Mr. Smith believes that one must start with the finest materials, work with an educated eye, and apply a good measure of discipline. It is hoped that you will enjoy the examples presented here. 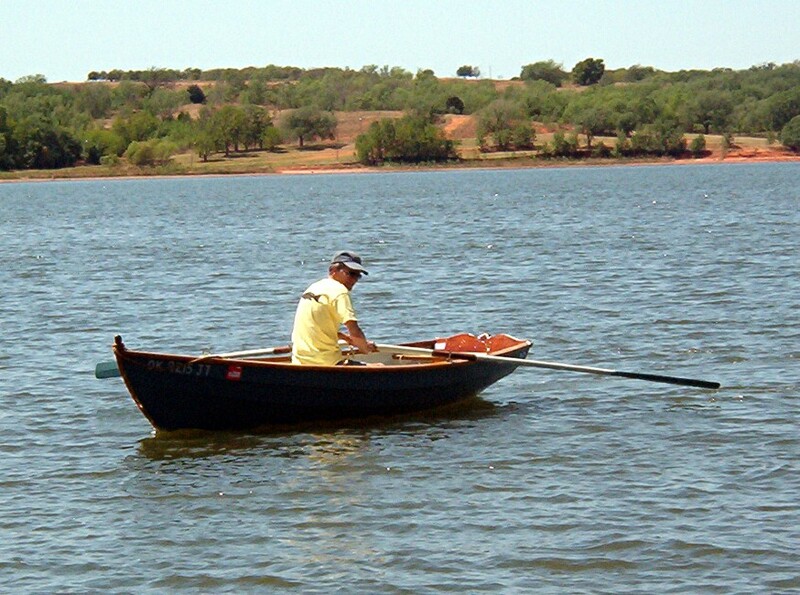 This is a rowing boat that I built for my own enjoyment. It is of furniture quality through and through. The mahogany transom has a cupid's bow cut out, and the central portion has a carved shell design. This was it's maiden voyage about 11 years ago; we have both aged. Actually, the boat has aged much better than I have!